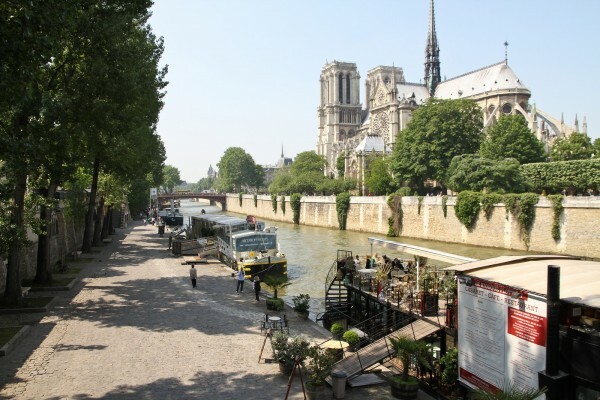 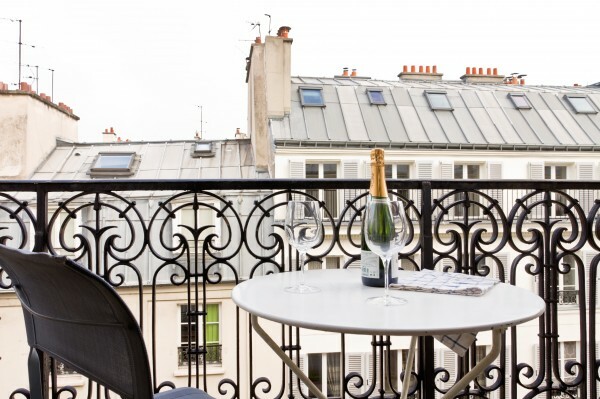 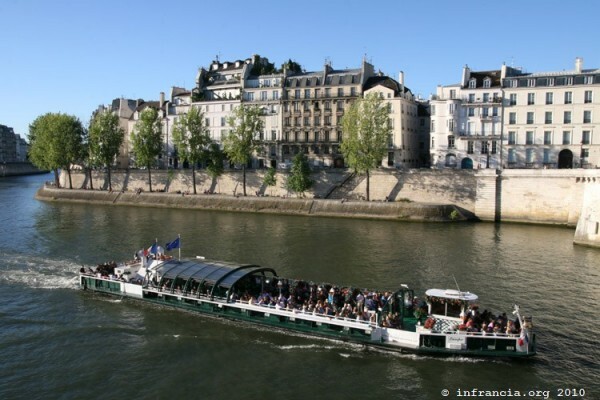 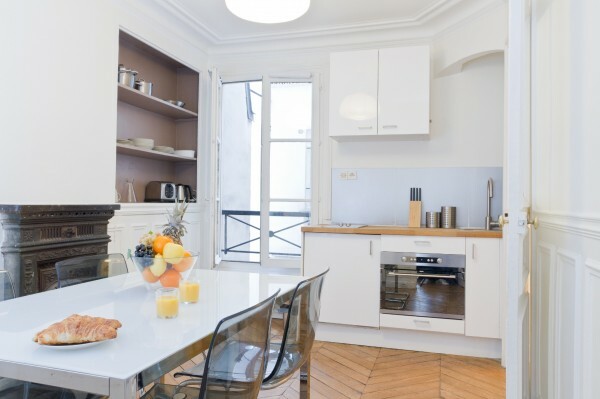 At the heart of Paris in the Latin Quarter: you will feel at home just steps from Notre Dame, Place Saint Michel, the Pantheon and the Seine River. 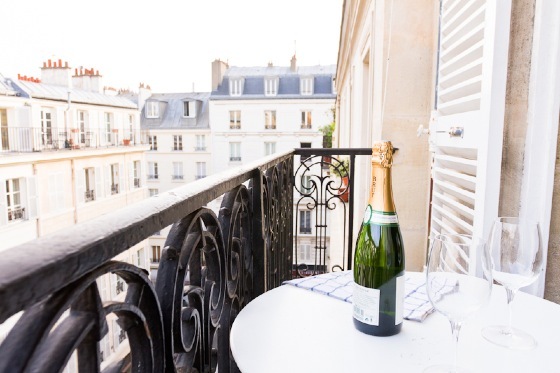 Calm, warm and welcoming, this newly renovated apartment offers all the modern comforts and a balcony to enjoy brilliant views of the Parisian life below. 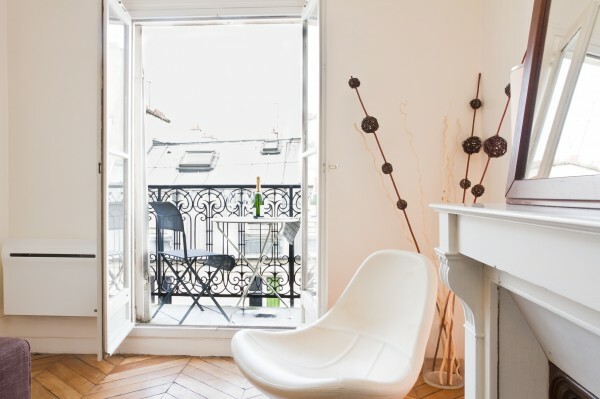 This apartment is located on the 5th floor with an elevator. 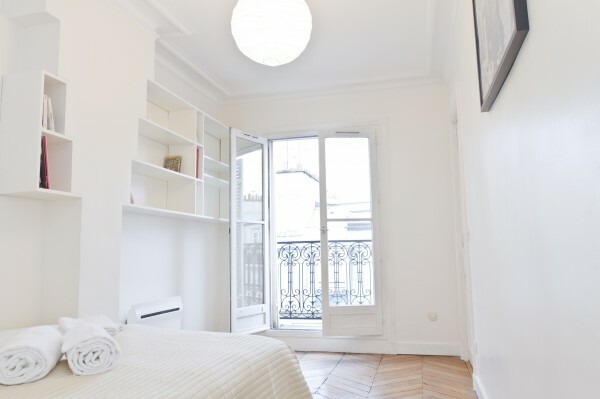 It offers sleeping space for 5: one bedroom with a double bed and two sofa beds found in the living room. 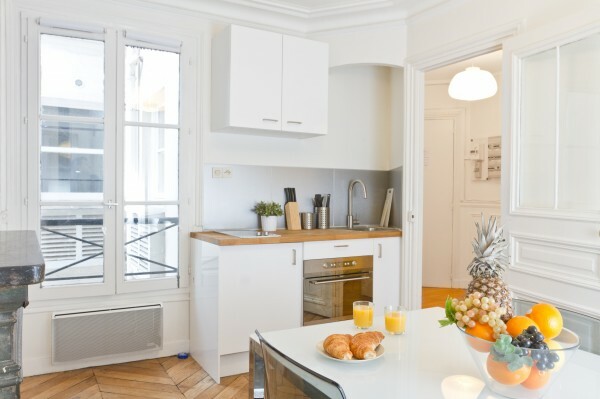 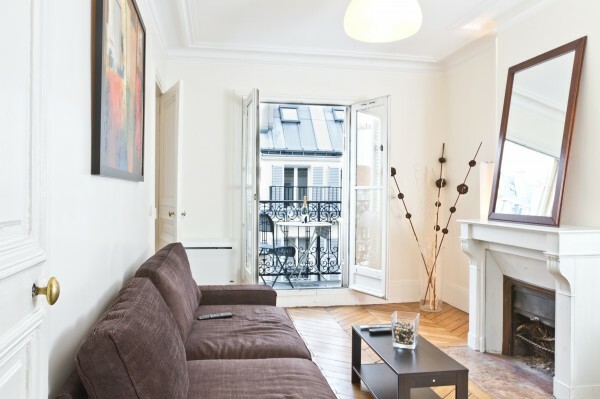 The apartment is fully equipped with a flat screen TV, high-speed wireless Internet and a kitchen with all the amenities you need to live like a true Parisian. 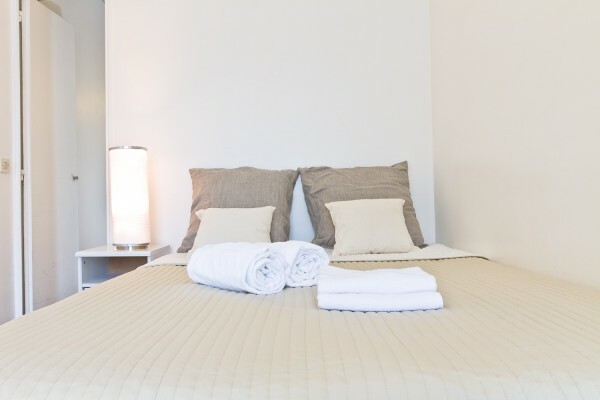 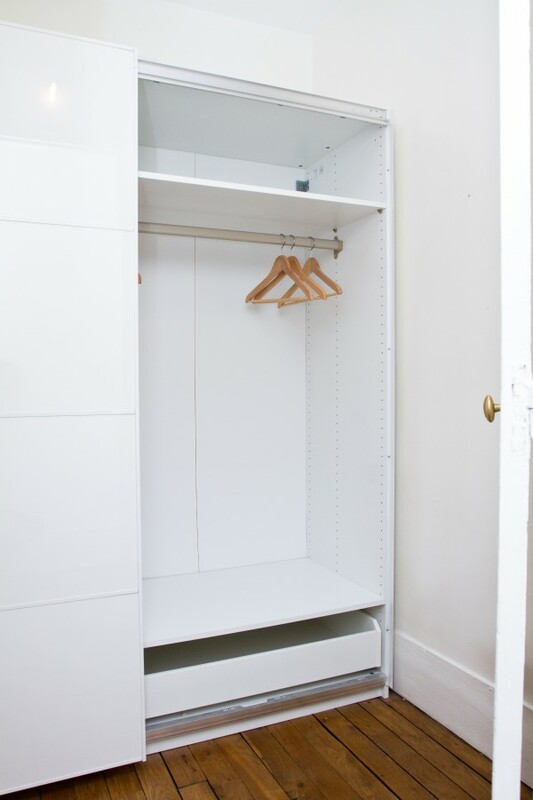 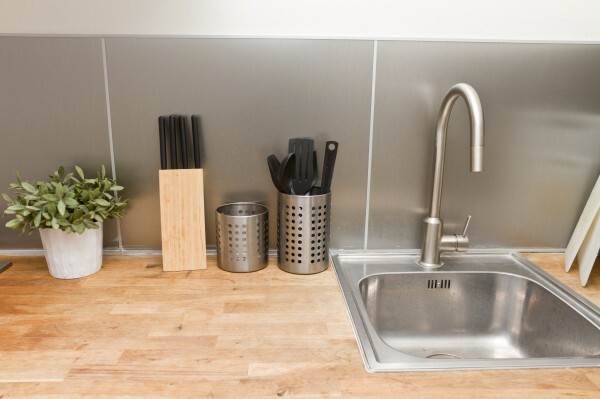 Add to this the comfort of a beautiful shower with towels and linen provided and practicality thanks to the apartment’s proximity to the Metro and train stations.